Recently I read a blog posting at a site I really enjoy, and said blogger raised an issue in my mind that has left me in a conundrum of sorts. Now, anyone who knows me also knows that I am a hard-core motor racing fan... have been since I was a small boy following my Dad around in the pits at the Irwindale (CA) Raceway drag strip back in the 60's. I follow most forms of four-wheeled racing which includes Formula One, IndyCar, NASCAR, ALMS, Grand-Am, SCCA, SCRA, WRC, NHRA, Australian SuperCar, DTS and almost every other racing acronym. I am entranced by the discipline required to race at any level, especially for the pros. Having been lucky enough to attend several racing driver schools, perform shakedowns of formula cars on-track and autocross like a mofo, I have been called a pretty damned good driver by some pretty damned good drivers. Which gets me to the blog posting in question, where the point was made about Memorial Day being celebrated in certain sectors by hundreds of thousands of racing fans driving gas-guzzling cars to watch two classic races: The IndyCar Indianapolis 500 and the NASCAR Coca-Cola 600. The point was made that we as a nation are fighting oil wars in Iraq and Afghanistan, our soldiers are dying for that oil and we race fans memorialize their sacrifice by watching race cars burn fuel to race around in a circle. With the image of foot soldiers in Middle Eastern deserts juxtaposed against the seemingly wasteful entertainment sport of motor racing, how can anyone enjoy racing at all, knowing the blood that was/is being spilled to fill those fan's fuel tanks? Like I said, a legitimate question, albeit a false comparison. 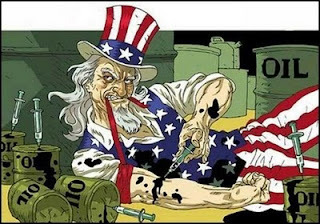 It has been endlessly documented that this country, the good old U.S. of A., is the richest, fattest, oil-usingest collection of states currently residing on Planet Earth. We want what we want, when we want it (NOW, dammit! ), and we seek to gain those treasures by any means necessary so as to salve our need to consume and ensure that we are never without exactly what we want. New President hasn't solved every single domestic and foreign nightmare he inherited, so he is an automatic failure and must be hung like we used to do back in the day. Really, truly... we are a pathetic bunch of WATB's when we don't get our binky. So to the question of oil and liberalism and my progressive ethic and the horrific fact that we are slaves to that same oil. How can I condone so much wasteful fuel consumption AND be against the use of oil AND be such an avid fan of a sport that (currently) requires the use of combusted fossil fuel to propel earthbound sleds around a racetrack, held on the ground only by gravity and aerodynamics and physics and luck? Am I a raging hypocrite? Stupid? Blinded by the Green Flag? I am no more a hypocrite for supporting motorsports while being against the use of oil than a PETA member protesting against the use of fur while wearing leather shoes and a belt. 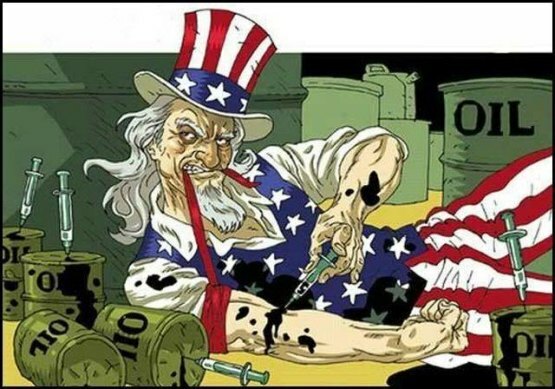 I use oil, gasoline and all manner of oil-derived products because that is what we have used as a basis for our national consumption... petrochemicals. Should I also deny myself the use of my plastic fantastic wireless keyboard, the chair I'm sitting in, the table this keyboard is sitting on, the printer on this same table, the fan housing now bathing my sweaty body in cool breezes, the myriad items that are necessary for my day-to-day living? Well, I could, but then I would be unable to perform my job, get to work, drive home, store my lunch, use the bathroom or anything else that could be classified as a human existence in this modern era. We are surrounded by the products that have been made possible by the luxurious black gold, the same type that was spewing from a volcano in the Gulf of Mexico. The hard truth is that we have addicted ourselves to that ancient dinosaur goo, and we are FINALLY starting to THINK about MAYBE trying EVENTUALLY to wean ourselves off of our mainline jones for de oil. Now, as for the racing thing: like many other sports, it is beholden to the usage of oil, specifically the fuel, motor oil, tire compounds, greases, lubricants, solvents... lots of stuff, but I'll focus on the cars themselves. Many of the production-based racing series feature cars that run on gasoline, but more and more of the exotic formulae are now using corn-based ethanol, a renewable resource fuel that emits almost no toxins into the atmosphere. That's a good start, but not enough for me. I want racing to become a foundation for the development of alternative forms of energy used to hurtle the cars around the track. Electricity? Hydrogen? Fuel cell? Kinetic? Hybrids? I dinna care... I just want racing to do for auto fuels what it has already done for auto, electronics, tire and safety technology... to be the springboard testing lab for eventual mass consumption. I want the Indianapolis 500 to have a wide-open technical specification like they used to have in the old days... basically, it was 'run what ya brung' as long as it was deemed safe enough so as not to endanger other drivers. In fact, there was some recent talk of that very thing being implemented at the track, but it was quashed under the guise of being 'too expensive' for the teams and owners. BAH. The only thing keeping it from happening in all major racing series, as well as for the general public is... oil is just too damned cheap! That's right... I said it, and I meant it! Yes, we may be paying close to $80 per barrel of oil right now, but a 55-gallon drum of oil means that each gallon of sweet crude costs only about $1.50 per gallon in its unrefined state (based on and including the cost to actually access the stuff), from which the oil companies refine or 'crack' the goo into myriad compounds, fluids and fuels and charge a handsome price for each and every one. Suppose the oil cost them ten times that amount, $11.50 per gallon, in its pristine condition... would it still be profitable? I think not. OK that's an obtuse exercise, so let's try one by the numbers since I'm talking about the 'evil' racing thing. I'll use NASCAR as an example from a fan participation perspective, because those race cars still use fossil fuel to motorvate and it is currently the most popular form of racing in this country. There are 36 races during the regular season, with an average of 100,000 fans attending each race, which equates to a total of 3,600,000 fans that attend the entire year's worth of races. Assuming they all carpool four to a car (yeah, right), that works out to 900,000 cars being used to drive to and from the races for the whole season. WOW... seems like a lot, eh? Compare that to the NFL -- there are 32 teams, playing a total of 16 games each and every weekend during the regular season, and assuming a paltry 75,000 fans attend each game equates to 1,200,000 fans EACH WEEKEND who also carpool four to a vehicle (ha! ), which means that there are around 300,000 cars being driven to and from NFL games EVERY WEEKEND. Multiply that by a standard 17-week season and you get a whopping 5,100,000 cars being driven to watch football games, almost five times as many cars than for the NASCAR season. How's that for an equivalency? OK, enough of that wonky stuff. Suffice it to say that the false equivalency in this case is stunning, but that's how the game is played... there are many ways to demonize something that you don't like or understand. For me, the thought of race cars powered by all manner of drive systems and energies is something to salivate over, as well as a potential major headache for a sanctioning body to formulate some type of technical specification towards an even playing field, but HEY... this is indeed rocket science, and as Roger Penske famously once said, 'Racing ain't for little boys in short pants'. If racing mystifies you... if you just don't get it, take my advice: ATTEND A REAL RACE. Doesn't matter if it's a regional SCCA mashup, a local circle-track or a big-time sports or stock car brouhaha. Crawl the pits and witness the frenzy of preparation and battle-field engineering, where team members will pitch in to help another car make the show, just to be able to beat them on the track. Watch as the combatants drive over the limit during qualifying. Stare in wonder at the display of physics in action as the drivers race around on-track at speeds that would land you in jail or otherwise kill your untrained self. OK, now I'm staring to sound like a racing zealot, but you catch my drift. Oil is our finite manna, and we must figure out a way to use less and less of it as we move further into the 21st century. We ignore the fact at our own peril. We can all do our part every day by keeping our cars clean, tires aired-up, the engine tuned-up, and by NOT mashing the throttle every time the light turns Green. By the way, a traffic school instructer once taught me that the Green light does not mean 'GO' on the street. Rather, it means 'you may proceed when it is safe to do so'. Funny how that little nugget has stayed with me. One last thing: earlier this year I was headed to work at 5AM one morning, enjoying the empty neighborhood streets when WHAM, nailed by a motorcycle cop for traveling 60mph in a 45mph zone. I was livid because there was no one around, but John Law just smiled and wrote me up. Between traffic school and the ticket, I paid out $375 of hard-earned loot, but guess what? I have become much more conscious of my speed, never exceeding the limit by more than 5mph, but the side benefit is that my weekly fuel mileage has incresed by almost 10 percent! So, motor racing... oil... alternative fuels... NASCAR... traffic school... PETA... did I miss anything? I reckon not, but it just goes to show that we ratioanlize the costs of everything we buy, use and toss away, and that a gallon of fuel is a far better deal than a gallon of Starbuck's Morning Brew. Black gold... Texas tea... wide-open throttle towards a new fuel source for race cars. I am SO THERE.